If Seville is a great place to visit during the whole year due to its warm temperatures, spring is without a doubt the best time to do it. The flowering of the parks and the charming environment on the streets invite you to try new activities in the city. This time of the year is perfect to celebrate those special moments that are in your mind, especially if you come with your couple! Did you think about immortalizing your declaration of love or marriage proposal in Seville? It’s full with romantic spots! Many couples choose Seville as a unique city to declare their love. 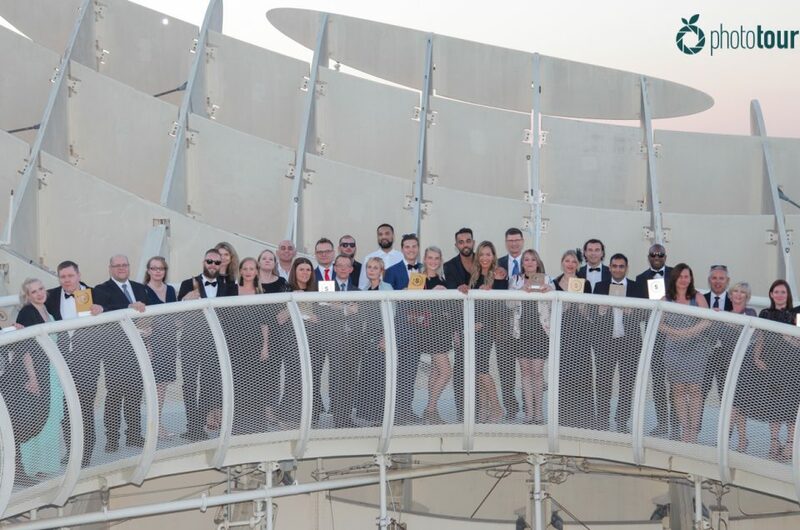 The warm temperatures, the charming and romantic spots of the downtown, and the wide range of things to do makes this city a perfect candidate to host a marriage proposal you and your couple will never forget. 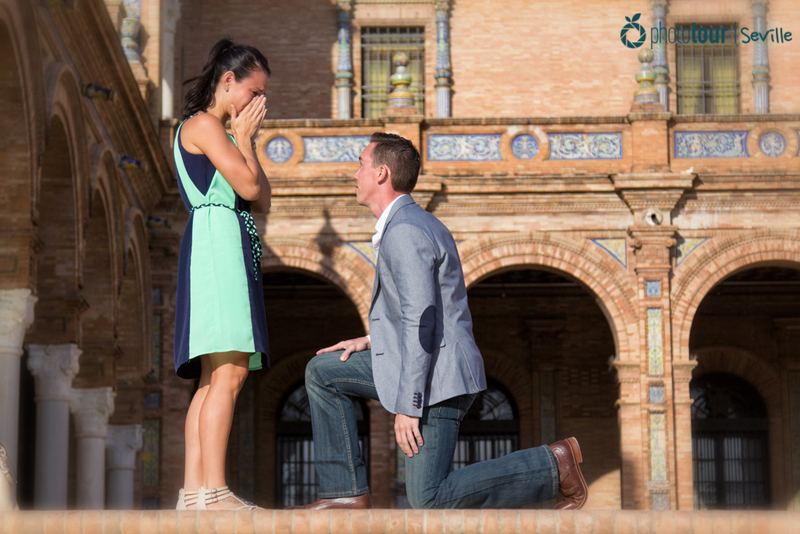 There are so many places in Seville where you could have an intimate marriage proposal. Some of them are at María Luisa Park. This centenary garden has plenty of romantic spots that are perfect to declare your love to your couple. Here you won´t find many tourists and will have the privacy you need for such an important moment. 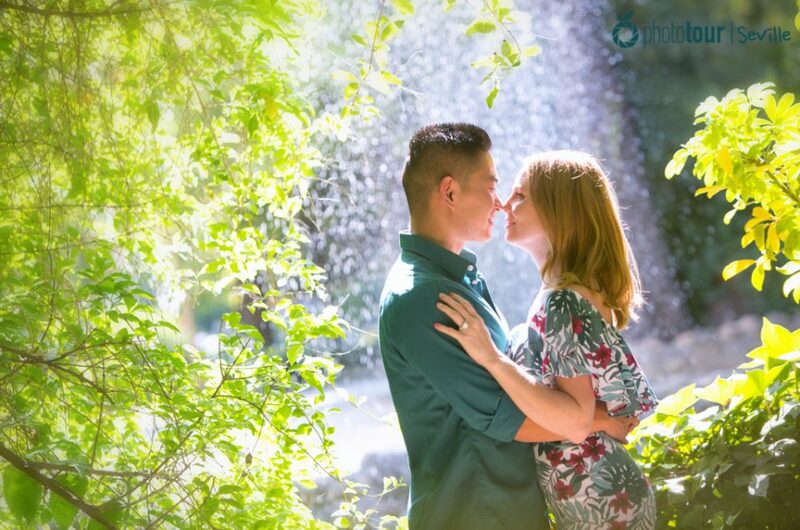 Take advantage during the spring and immortalize your marriage proposal surrounded by the beauty of the flowered gardens! 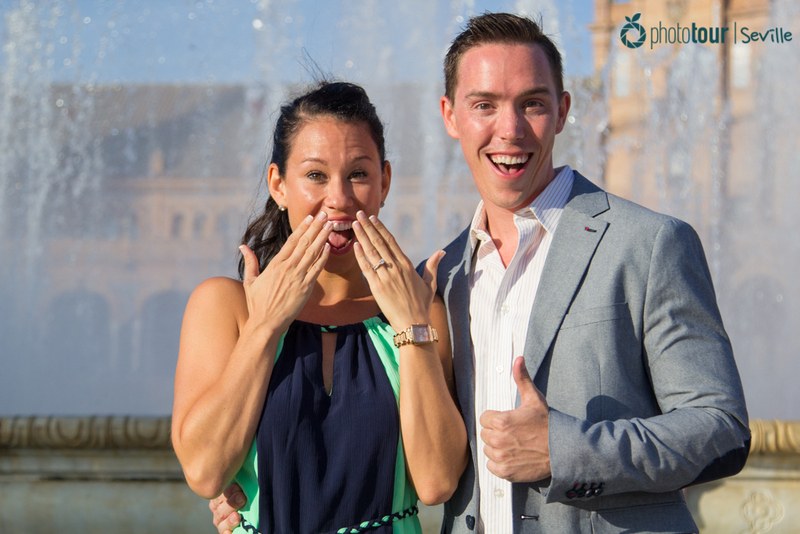 Also, if you want to perform your marriage proposal in one of the so many secrets places of Seville that only locals know, you might want to explore the Barrio de Santa Cruz! Famous for being the Jewish neighborhood of the city in the past, this singular place can offer you several hidden rincones that can be perfect for your declaration. Calle Pimienta and Plaza de Santa Marta are good examples of hidden spots where you can be relaxed with your couple. If you want to avoid tourists, we recommend you to go either early morning or at late night. And if you want the most romantic marriage proposal ever, try to perform it at Plaza del Triunfo at late night: you will have a wonderful illuminated Giralda as background at a silent place without people. 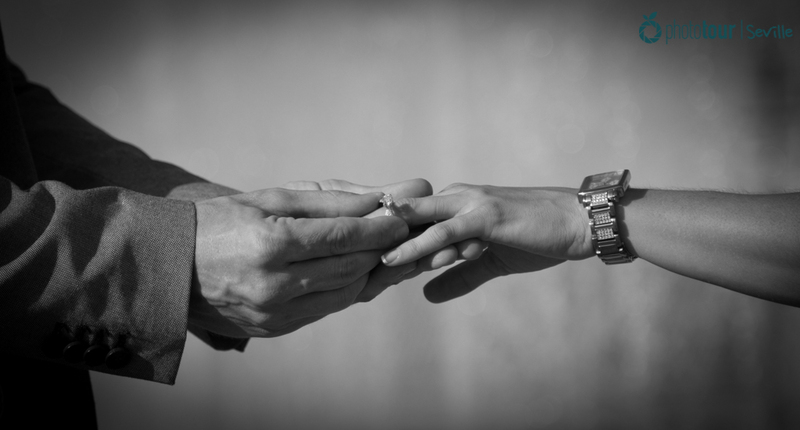 We will give you a secretive service where your couple won´t suspect anything! We will arrange with you by e-mail the place and time to meet. When we see you, we will make you a sneaky sign and will start taking your photos from the distance. 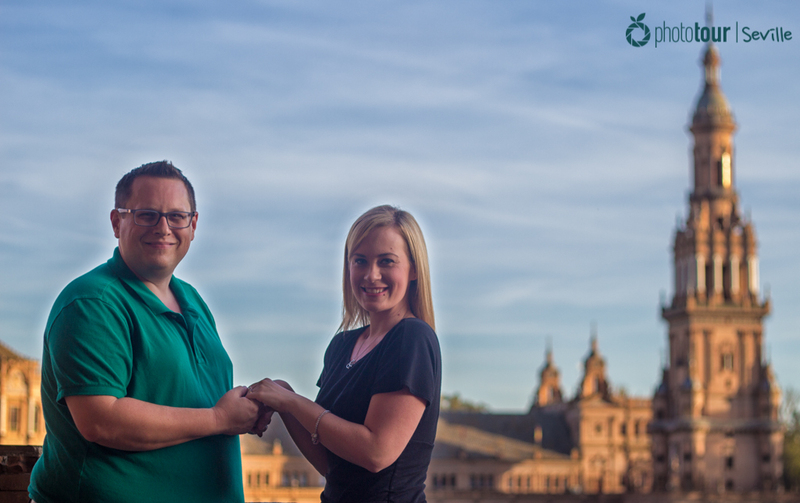 In Photo Tour Seville we want you to have the best memory of your marriage proposal, that´s why we offer you to join our photo tours and meet our team of professional photographers. They will do their best in order to give you the best photo album of your marriage proposal. If you are thinking about surprising your couple this spring, and want to know more about our activities, here you have all you need to know about our photo tours and photography workshops in Seville! Any more doubts or questions? No problem! Just drop us a line here and we will be happy to answer! In Photo Tour Seville we adapt to you! Make your marriage proposal unique and immortalize it forever!